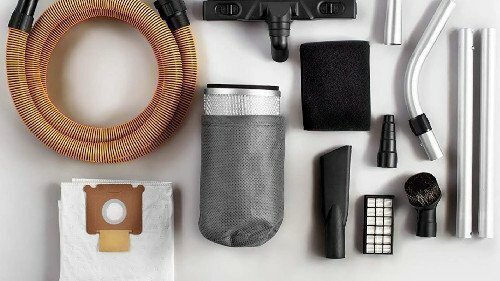 Dust Extractor vs. Shop Vac – What’s the Difference? Keeping a clean workspace in an environment where cement and wood dust can go airborne is extremely important. By staying in an environment cluttered with tiny pieces of debris, you’re putting your well-being at risk, and that’s not even including the number of dangerous power tools you’re in close proximity with all day. One of the best ways to prevent debris from accumulating and going airborne in your workshop is by using a dust extractor. A dust extractor is a portable piece of equipment that suctions up debris at the source and without the overly long hoses. They can connect directly to power tools and remove dust as it’s created, or used as a stand-alone tool to pick up piles and piles of debris. One of the most commonly asked questions regarding dust management and cleanup is what differentiates a dust extractor from a shop vac? And how do they differ from a standard vacuum cleaner? Dust extractors are an excellent solution for cleaning industrial pollution. They’re a portable solution for picking up dust and other minuscule contaminants as they’re produced to prevent them from going airborne. The biggest advantage that a dust extractor has over other forms of dust management systems is its ability to suction up concentrated piles of debris. Any piece that’s suctioned through the hose gets trapped in a built-in filter before clean air is pushed out of the machine. Some models even serve as an extension cord. They come with outlets which let user plug their power tools directly into the machine. Shop vacs are arguably the most popular and most basic form of a dust management system for workshops. They are large units that are placed in the corner of a workshop with long pressure hoses that run along the wall of the shop. These hoses connect directly to power tools to pick up dust and debris right as they’re created. Most models feature a one-stage system that sorts the debris based on size. This helps in keeping the filter from accidental punctures and early clogging. However, their suction power is extremely dependent on the lengths of the hoses and how many are running simultaneously. The term “dust management” is extremely vague. The first thing you should know about dust management is that dust exists in many forms. They fall into three main categories: class L, class M, and class H.
Class L dust is the simplest form that is commonly found inside of households. It can be anything from dead skin cells to pieces of dirt. Class M dust includes sawdust, cement dust, tile residue, and pieces of dry paint. Class H is the most hazardous type which includes asbestos, mineral fibers, and glass wool. In today’s article, we’re going to split the buying guide into three main parts – how to find the right model for woodworking, for MDF, and for general workshops. There’s no doubt that a woodshop should have some sort of dust management system, and a simple vacuum cleaner doesn’t count. 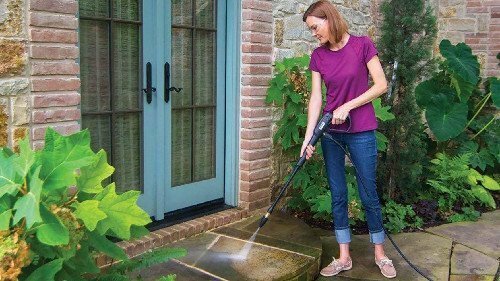 In this article, we’re going to go over what sort of things to look for when shopping for a dust extractor to have to prevent sawdust from getting into your hair and lungs. The dust produced from woodworking projects is categorized as class M dust. Most dust extractors are built to handle class M dust which includes sawdust and cement dust so finding an appropriate model should not prove to be too difficult. It’s important that you also consider the type of filter that comes with the dust extractor. We would highly recommend seeking a model that features HEPA-grade filters that capture 99.97% of dust as small as 0.3 microns in diameter. However, a standard mesh could also be found, especially if you’re power tools that produce more chips and shavings than sawdust. CFM refers to the volume of air in cubic feet that a dust extractor suctions up every minute. More is not always better when it comes to CFM; the appropriate rating truly depends on what sort of power tools you’re using and/or how much dust is accumulated and needs to be removed. Depending on what tools you use, you may need a moderate machine that produces around 150 CFM or one as powerful as 300 CFM. We’d recommend leaning toward a higher CFM model for better performance. The biggest benefit that a dust extractor has over shop vacs are the caster wheels that allow it to travel wherever it’s needed. Depending on the size of your workshop and how many tools you have, the dust extractor should be able to easily find its way around the shop without bumping tables or getting its wheels caught. Furthermore, a lightweight model would be ideal when you need to transport the unit from location to location. They’re pretty compact so fitting it onto the bed of your truck or in a vehicle shouldn’t cause too many problems. Even though dust extractors serve to prevent sawdust from accumulating and becoming a fire hazard, the unit’s hose could become what it’s designed to prevent. The friction produced by millions of sawdust particles sliding up and down the hose creates static electricity which could ignite the dust, setting your entire woodshop ablaze. To prevent static electricity buildup, make sure that the dust collector comes with an anti-static hose. Some models may not include them in the kit so if there aren’t any compatible anti-static hoses sold separately. It’s best to leave that model alone. Even though MDF is used in woodworking, a dust extractor specifically for taking care of MDF residue is necessary. MDF includes the use of resin to give it its shape and density which, in powder form, can be a significant health hazard. Let’s see what sort of dust extractor is equipped to handle MDF sawdust. MDF is a type of engineered board used mainly in woodworking. Even though the majority of its construction is made of either hardwood or softwood, chemicals are introduced to give the board its structure and smooth surface. Therefore, sawdust from MDF is classified as a chemical and thus falls into class H dust. Even though sawdust from MDF boards contains chemicals, the shape and size of the residue depends on what sort of tools are used to prep the board. For instance, planers and jointers produce shavings and chips which will require a higher CFM rating to suction up effectively. A router, table saw, and a drill will produce sawdust which can be cleaned up with a lower CFM dust extractor. The “right” CFM rating depends on what tools you’re using, though, like woodworking dust extractors, we’d recommend going for a high-CFM model – at least 200 CFM – for the most effective cleanup. And just like regular sawdust, the dust from MDF boards are just as prone to producing static electricity as it rides in and out of the dust extractor’s hose. The best way to prevent static electricity from sparking the sawdust without a chemical treatment or humidifier (static electricity enjoys dry environments) is by getting a dust extractor that’s compatible or comes with an anti-static hose. Take a look at the storage compartment and see how many gallons the unit can hold. The ideal amount depends on the scale of work you’re doing – bigger projects would require a larger tank to reduce the number of times it needs to be emptied. However, if you don’t mind heading outdoors and dumping the sawdust and chips after every 30 or 40 minutes of work, a smaller 1- to 2-gallon tank would be okay. 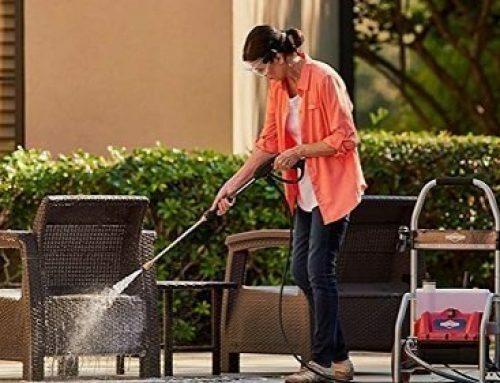 Even though the dust extractor’s hose typically connects directly onto power tools, assuming that their ports are compatible, it’s still a good idea to find a model that comes with different cleaning attachments or are available for purchase. A long nozzle would work best at suctioning fallen debris that accumulates under and behind power tools. The final buying guide included in this article is on how to find the right dust extractor for any workshop. These dust extractors can handle basic sawdust and MDF dust without any issues but should also suction up all other sorts of airborne particles. What you do in your workshop will determine what sort of dust extractor you need. If you light-duty woodworking projects during the weekend, a smaller class M dust extractor would be fine. However, if you also like to dab in welding, painting, or mixing acrylic in your work, then a unit that retains class H dust might be the most appropriate model to get. If your workshop is located in a basement or a garage, then wet cement, dirt, and dust may be something you’re very familiar with. Using a simple vacuum cleaner could prove to be ineffective and could actually end up becoming destroyed when its electronic components meet moisture. 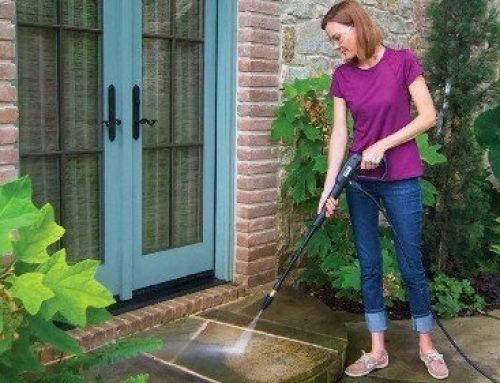 Thankfully, there are wet/dry dust extractors for maximum cleaning abilities. After laying tiles, use a wet/dry dust extractor to pick up any residual pieces of tile mortar to give your workspace a thorough cleaning. These machines typically come with an auto-shutoff feature which kills the engine as soon as it detects heightened moisture levels in its storage compartment. 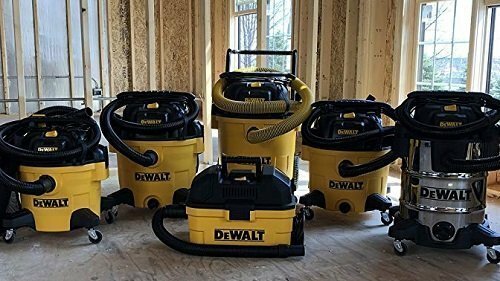 Since dust extractors don’t use extremely long hoses that run along the walls of your workshop, it’s important that the tool can maneuver around tables and power tools to reach dirty spots. Pay attention to the caster wheels; their size and construction should give you an idea of how well it travels from place to place in your workshop. Large, 4-plus-inch wheels are recommended for uneven terrain, but for your workshop, you can get by with smaller 3-inch wheels. For a regular garage or basement workshop, a massive 10-gallon dust extractor will probably be overkill unless you spend most of your time working. But seeing as how a general-purpose dust extractor is used to clean up all sorts of messes, it’d be a good idea to have a larger tank – at least 4 gallons – to pick everything up off of your workshop’s floor without having to dump out the contents at an annoying frequency. The final thing to consider is the sort of attachments that the dust extractor comes with. 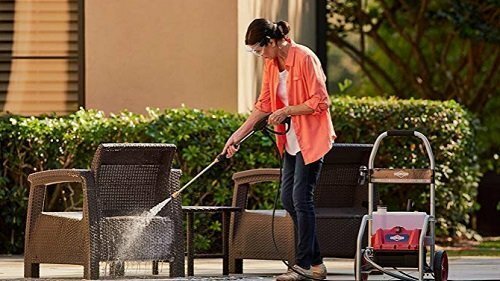 Ideally, you should find a model that comes with or is compatible with upholstery-cleaning brushes, long nozzles, attachments for certain power tools (hammers, oscillating tools, routers, what have you). Dust extractors are perhaps the most versatile cleaning solutions available. 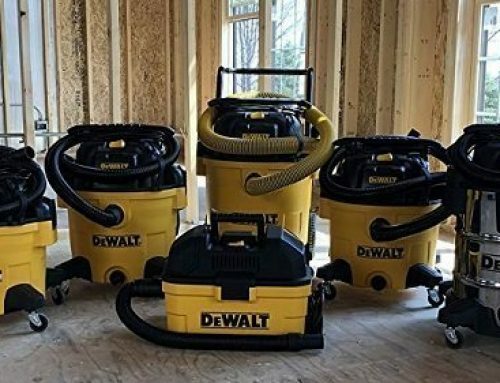 Unlike shop vacs which are stationary units that rely on long hoses to reach every area of your workshop, dust extractors can be taken anywhere there’s dust and debris. Finding the right dust extractor depends on what sort of work you do. The most common uses of dust extractors are for cleaning up wood-based residue, dust from chemically treated stock, and for general-purpose cleaning in workshops. 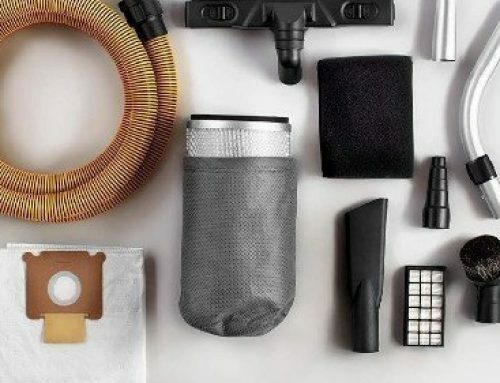 In this article, we’ve split the buying guide into three sections which describe how to find the best dust extractor for each of these jobs. For general woodworking, the dust extractor should deliver at least 150 CFM and be equipped to handle class M dust. It’d be nice if it was also equipped with HEPA-grade filters for extra protection against airborne-prone debris. Also, make sure that the unit comes with an anti-static hose to prevent sparks from igniting sawdust in and around the tool. As for MDF, which is a type of wood-based material used in woodworking, the most appropriate dust extractor should handle class H dust, have an airflow volume of at least 200 CFM, and also be fitted with an anti-static hose. A dust extractor with class H dust filters can also be used for simple woodworking projects with or without the use of chemically treated boards. The final buying guide talked about how general workshops that use wood, metal, cement, and chemicals would benefit most from a dust extractor designed to handle class H dust. If dealing with both wet and dry debris, a wet/dry dust extractor with moisture detection and auto-shutoff would be perfect.